Scientists pioneer new method of monitoring hihi reintroductions by listening in on bird ‘conversations’. Their findings are published in the journal Methods in Ecology and Evolution. 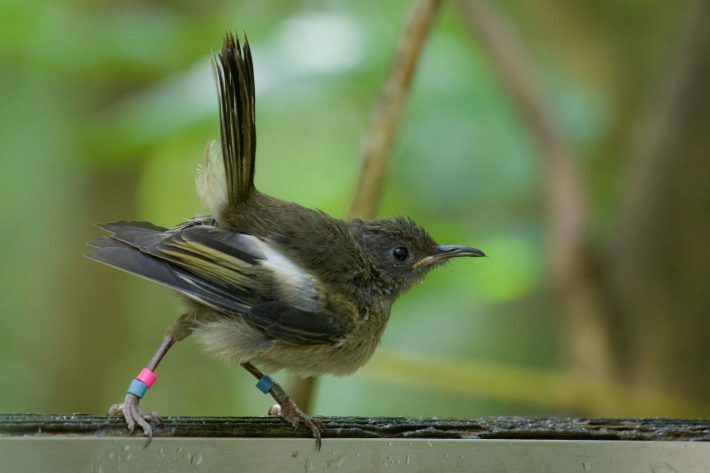 The study, published in Methods in Ecology and Evolution today, was carried out in the Rotokare Scenic Reserve in the Taranaki region of North Island, where 40 juvenile birds were released in April 2017. The first time hihi have been seen in the region since their regional extinction over 130 years ago.